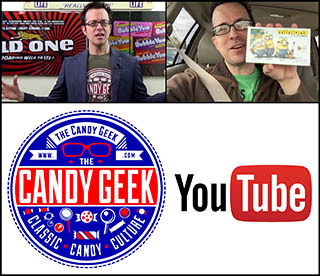 ← New for 2013: Hubba Bubba Bubblegum Halloween Boxes and More! 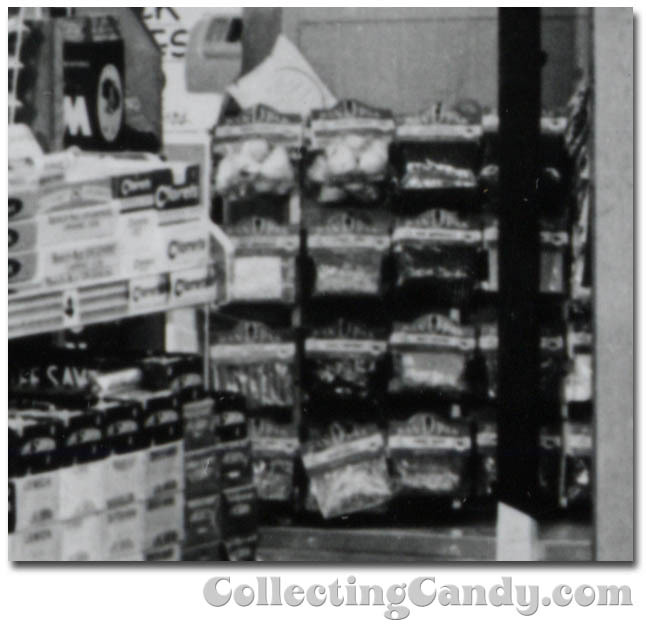 During last year’s CountdownToHalloween I posted a series of images of Halloween retail store displays from 1969. 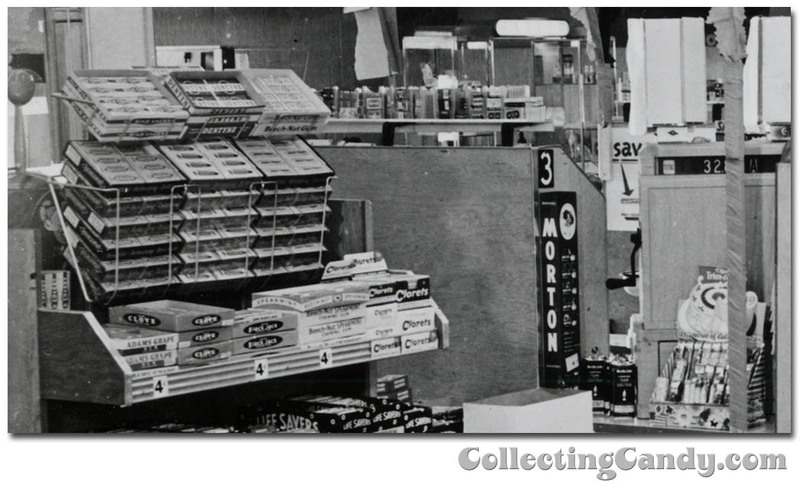 I didn’t expect that post to generate as much positive buzz as it did, but that response reinforced to me just how unusual it is to find images of our retail past. 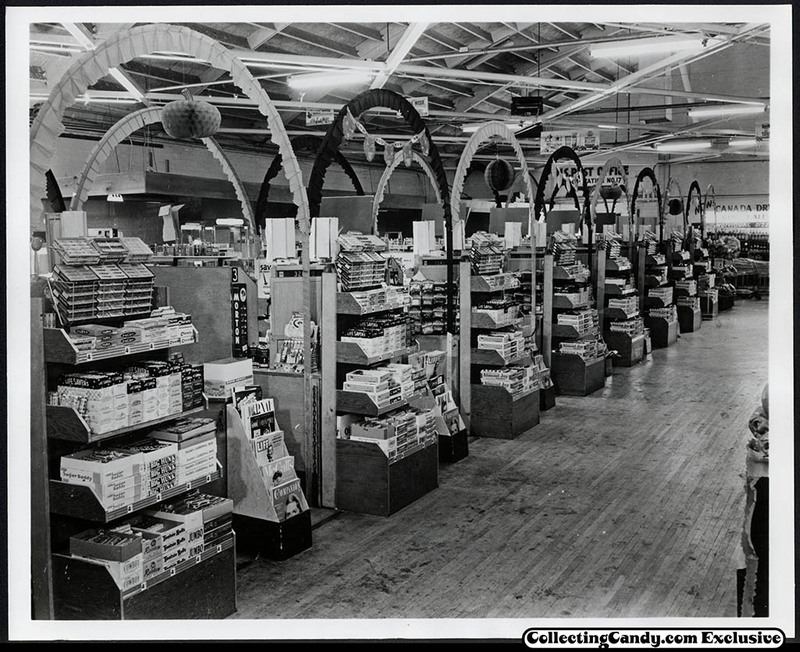 I wanted to bring something similar to the Countdown this year and after a lot of digging through my archives, I found a super photo of a grocery store’s checkout isles taken during the 1953 Halloween season. 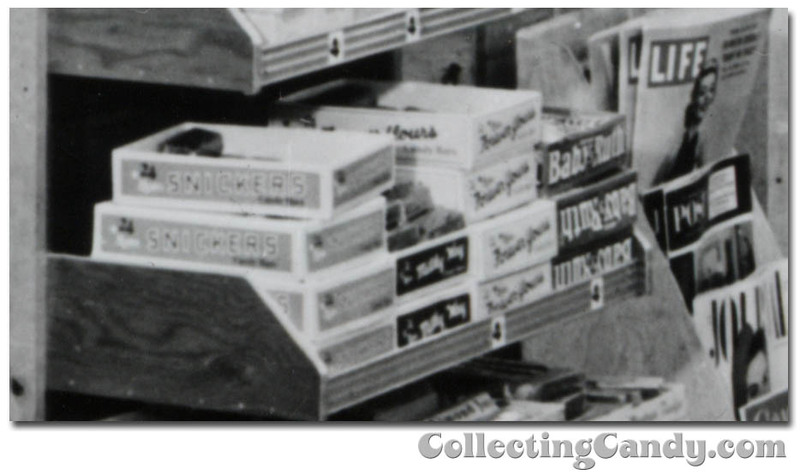 And with that image I was able to narrow down the timeframe of when the photo was taken. 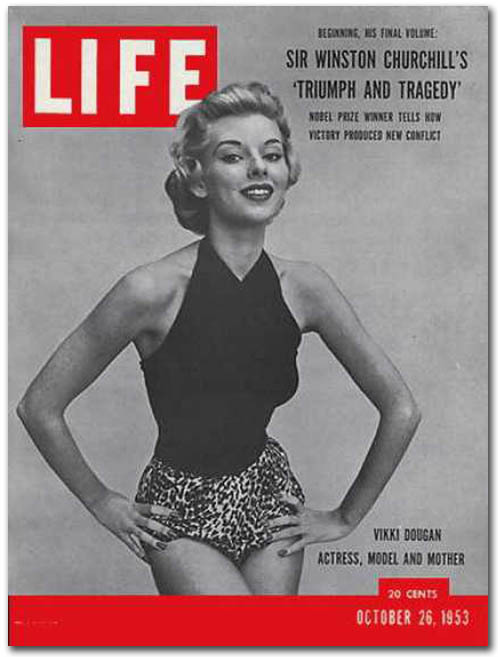 I could now confidently state that this photo was snapped when the October 26, 1953 issue of Life Magazine was on store shelves – sixty years ago! 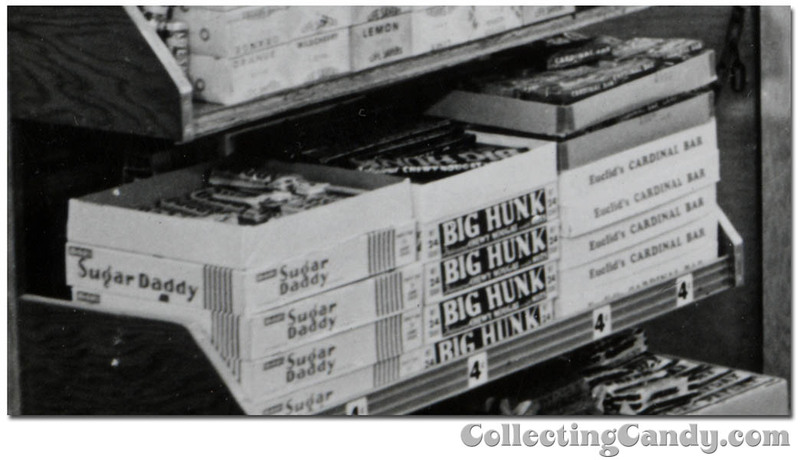 Of course, today’s photo isn’t quite like the ones I posted last year as the candy on display this time is technically in all-year-round setups. 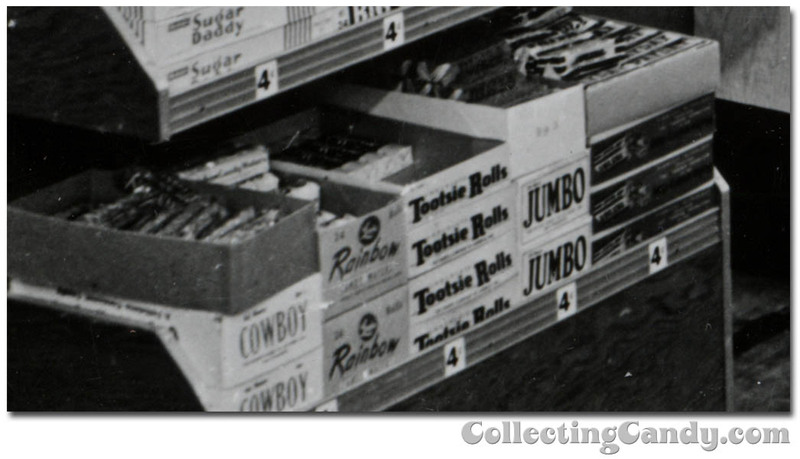 Even so, I thought it would be fun to zoom in and take a look at what kind of candy was in the supermarket checkout during the 1953 Halloween season. 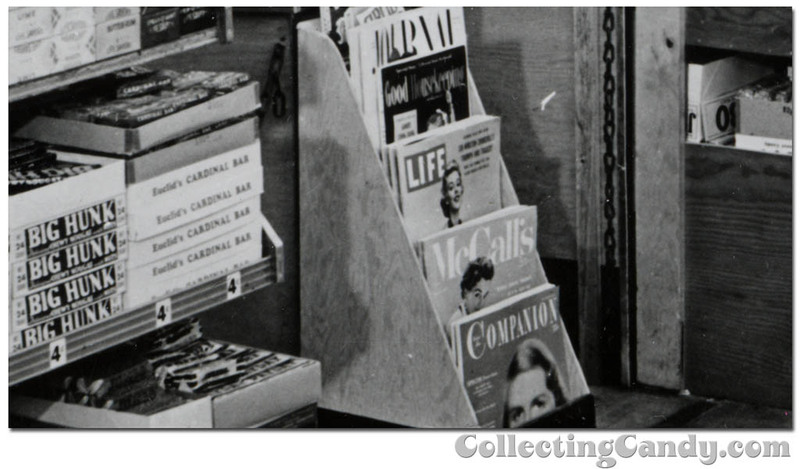 And that’s everything I’ve got to share on this glimpse into the retail of Halloween 1953. 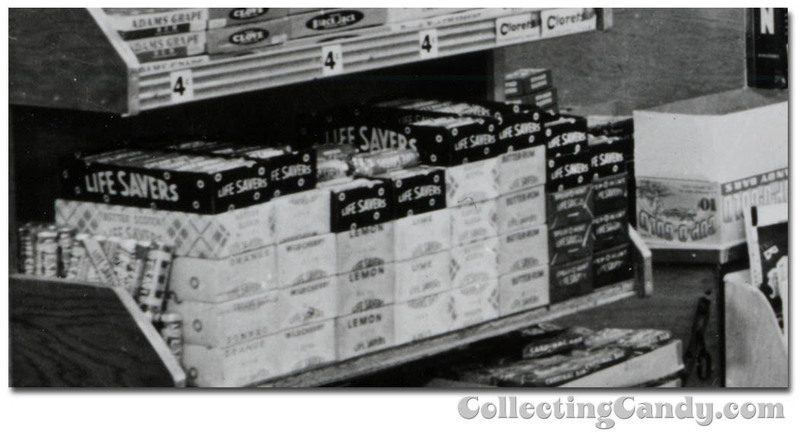 It’s a bit like looking through a slightly blurry time-machine lens and into Halloween’s past. I hope you enjoyed it. 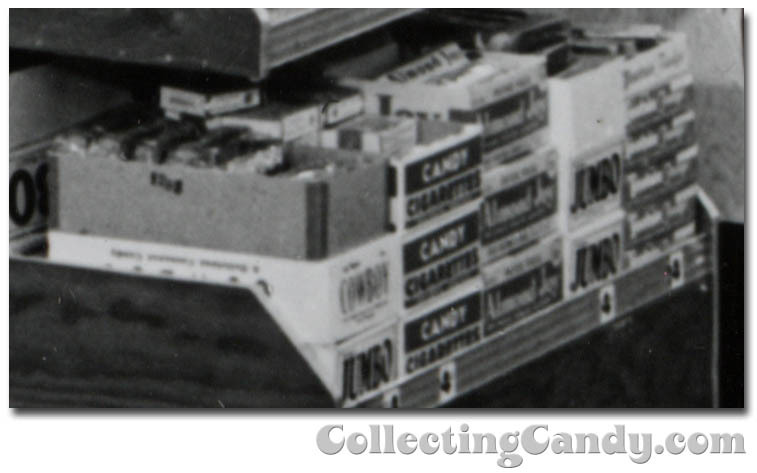 This entry was posted in 1950's, Chocolate, CountdownToHalloween, Halloween, M&M's, Mars and tagged 1950's, 1950's candy, 1950's candy photos, 50's candy, candy collecting, candy collection, candy collector, candy wrapper collection, candy wrapper collector, collectible, collecting candy, confectionery, confections, packaging, sweets, vintage candy wrapper, wrapper. Bookmark the permalink. 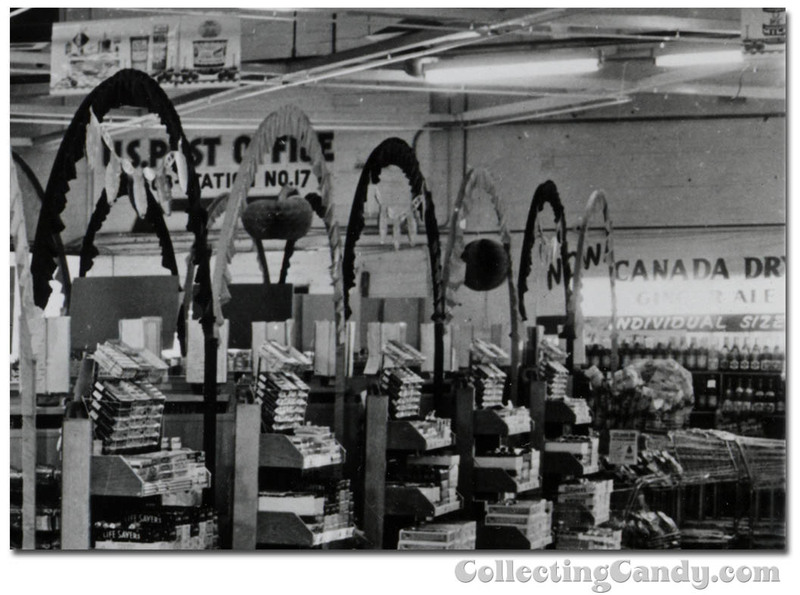 1 Response to A Glimpse into Halloween Candy Retail of 1953! I love stuff like this! Good detective work, too, bro.